For those who drive frequently, feeling as though your vehicle is merely skimming the surface of the road is a frightening sensation. A high–quality suspension system works to improve the friction between your vehicle’s tires and the surface of the road, improving your control of the steering and how firmly you feel the road. When it comes to feeling comfortable and secure throughout your ride, it is essential to have the right shocks & suspension tools for your specific vehicle. 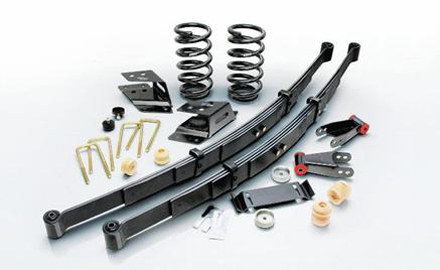 Get in touch with us and let us recommend reliable suspension products and solutions tailored to your vehicle. We craft custom-made U-bolts between 3/8 inch and 1-1/4 inch rod diameters. 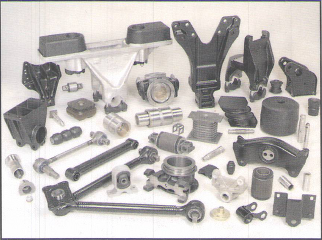 Dozens of specialty dies allow us to custom bend U-bolts for everything from utility trailers to Mack trucks. 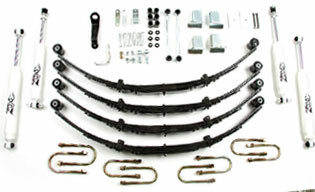 We recommend you bring in your old U-bolts so we can match them. With over 80 years of experience, our family-owned and operated company is prepared to give you lasting, dependable results for your cars, trucks, vans, buses and trailers.